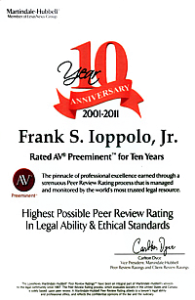 Frank S. Ioppolo, Jr. | Ioppolo Law Group, PLLC. 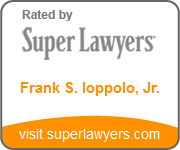 Frank S. Ioppolo, Jr. has been practicing law since 1991. He is admitted to practice in Florida, New York and the District of Columbia (Washington, D.C.). His practice involves a variety of business, securities, financing, advertising, and regulatory matters focusing on public and private financing transactions, mergers and acquisitions, securities deals and compliance issues. 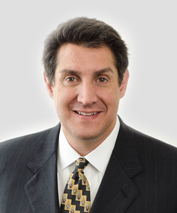 He was a shareholder practicing corporate & securities law at Greenberg Traurig and has served as inside and outside general counsel for a variety of private and public corporations and trade associations. Mr. Ioppolo also served as the Chief Operating Officer of a nearly $40,000,000 performance marketing company with more than 60 employees. He is frequently asked to advise clients in connection with the development of their strategic, crisis management and business plans. Frank has been recognized by his fellow attorneys by his election to Best Lawyers in America, Florida Super Lawyers and Florida Trend Magazine as being in the top 2% of all lawyers in Florida.As a recognized leader in the Central Florida community, Frank’s contacts and relationships at the local, state and federal governmental levels have been instrumental in helping clients achieve their government affairs goals. He was awarded the 2008 Business Leader of the Year Award from the Seminole County Regional Chamber of Commerce and the 2010 Success Award for Business Achievement. His contributions to the Central Florida community have led the Orlando Business Journal to recognize Mr. Ioppolo as one of the Most Influential Men in Central Florida on four separate occasions. Served as in house general counsel to a performance marketing company engaged in affiliate and email marketing and offer creation with over 60 employees and almost $40,000,000 in revenue. Served as outside general counsel to numerous publicly traded and private companies, ranging from emerging corporations to a $300,000,000 American Stock Exchange listed company. Served as lead counsel to a large public corporation in its sale of a telecommunications subsidiary for approximately $150,000,000. Served as lead counsel to a public corporation acquiring, through auction, a private corporation for $150,000,000. Advised public corporations and their compensation committees in the creation of new equity compensation plans. Formation and representation of a real estate co-investment fund. Served as lead U.S. counsel to the first foreign private issuer to register its stock to trade under the new 20-F rules and its subsequent listing on The American Stock Exchange. Representation of consolidators in the acquisition, financing and “roll up” of companies. Served as borrower’s counsel in multiple loan and financing transactions. Representation of an airline in its daily business activities, including the negotiation of an economic incentives package with state and local governmental entities for the relocation of the airline’s corporate headquarters. Represented and advised start-up and emerging businesses and entrepreneurs in business formation, structure and capital raising. Served as General Counsel of the Regional Investment Bankers Association. Successful representation of public corporations against de-listing proceedings before Nasdaq and for waiver of initial listing requirements before The American Stock Exchange. Argued before numerous courts including the Florida Supreme Court in the Nachon Enterprises v. Alexdex Corporation case concerning the proper jurisdiction of the Florida courts and the Supreme Court of the Commonwealth of the Bahamas. Supervised the IT department and downsized personnel, saving substantial money, while maintaining service levels. Outside General Counsel to AMEX traded healthcare company with nearly $300,000,000 in revenue (2003-2005). Held this position while a shareholder at a national law firm. Responsibilities included direction of in house attorneys and inclusion at all senior executive, executive committee and board meetings. Advisor to the CEO on all corporate and legal matters, including acquisitions, expansion of business, risk management, compliance issues and adjustment of the business model. Business Consultant and Advisor to Brannon Capital concerning capital raising transactions and business operation issues. Business Consultant and Advisor to The Mulholland Group regarding affordable housing matters, acquisitions, compliance, capital raising and risk management issues. Chairman of the Board for Seminole County Regional Chamber of Commerce, the Orlando Marine Institutes, the Seminole County Heroes Memorial Association, Seminole Community College Foundation and Envision Seminole. Created Associate Mentoring program for a national law firm. Chaired the Business Development Committee and Co-Chaired the Affiliated/Alternative Business initiative for a national law firm. President (2008-Present), Seminole County Heroes Memorial Association, Inc. Member (2002-Present), Board of Directors and Executive Committee, Ronald McDonald House Charities of Central Florida, Inc.
Chairman (1996-1997) and Member (1997-2001), Board of Trustees of the Orlando Marine Institutes, Inc.